This med -lrg multi-toned pendant catches light with its gorgeous pink jewels and then dazzles s with its beautiful coloured Zircon Stone. Set in Sterling Silver and hanging on an 18" Sterling Chain. 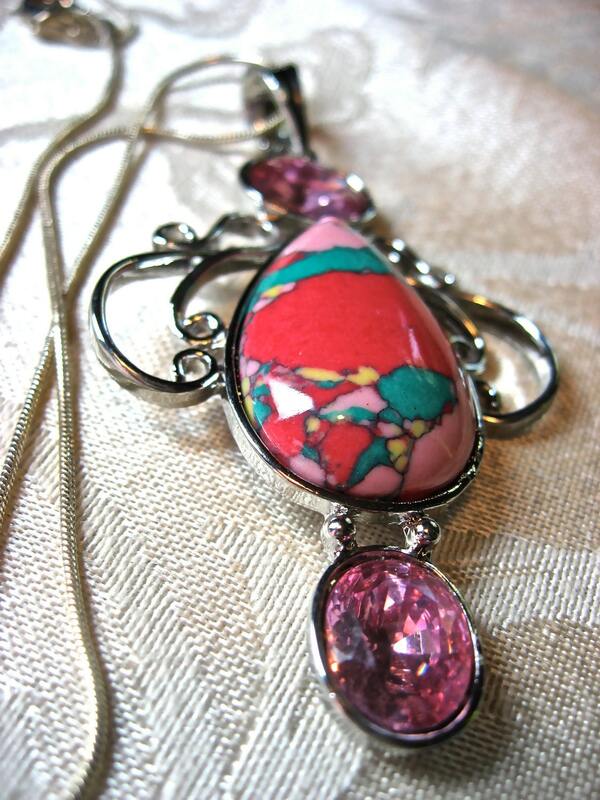 Pink teal yellow and corral colored stone.